Straighter shots mean lower scores. Here’s some tips on how to stop hooking the ball. Every single person to ever play the game of golf has their misses. It doesn’t matter if you are a weekend warrior, or the single best player to ever tee the ball up. Sometimes you hit a shot that misses wildly, and often enough you hit that same miss over and over again until you do something to straighten it out. There are two major misses in the game that have led to many triple digit scores: the slice, and the hook. Both can be debilitating to your score but with proper practice either can be fixed. Today we will be examining some of the ways that you can reduce your hook for straighter shots and lower scores. First, what is a hook? A hook is a shot that curves radically to the left (or the right if you are left-handed). A hook is not to be confused with the desirable draw, a shot that starts to the right of the target and curves gently to your desired landing spot. What causes it? Well, a few things actually. Let’s take a closer look. A hook can be a result of anything from a closed clubface, improperly fitted equipment, or the path of your clubhead at impact. Of these, the easiest to correct is the angle of your clubhead face. When you set up to address the ball you should always keep the clubface neutral. However, the “hooded clubface” is a setup defect that seems to have grown some traction with weekend warriors as of late. To hood your clubface is simply to set up with the face of your club slightly shut. For most people, this is probably a subconscious move. When you close the face of your club it takes some of the loft off which can lead to more distance, as it gives your shots a more boring trajectory. However, it can also lead to inconsistent shots, a flight pattern that isn’t ideal for keeping your ball on the green, and, you guessed it: hooks. To fix this, simply make sure that your club face is square to the target. When it comes to your equipment, the fix is equally simple but unfortunately, it can also be expensive. As you get better at golf you will probably gain some clubhead speed, at which point you may grow out of the shafts of your clubs. Beginner sets typically come with very flexible shafts to help new players get longer, higher shots. However, players with faster swing speeds will notice that the quicker they swing, the whippier the shaft gets which can lead to even good swings resulting in snap hooks. If you think this might pertain to you, you can fix this by going to your local golf equipment store and getting fit for a new set of shafts. If you are lucky you may only need to get fit for a new driver shaft, but depending on your unique specifications you may need to be refitted all throughout the bag. If you want to avoid buying a new set of clubs you can actually just invest in a new set of shafts, but if your current club set isn’t worth much to begin with it may be more financially prudent to just get a new set. That, of course, is up to you, but regardless your new properly fitted shafts will help to make sure that when you swing the club properly you will get good results. The final and most common cause of the hook is an improper swing path. When you swing from the outside in, it results in significant hooks. Unfortunately, fixing this swing defect is a process not quite simple enough to be summed up in a few sentences which is why we will now elaborate as we take a look at a few tips and drills that will help you straighten out your hook. Let’s now take a look at a few simple fixes to change the way that your club makes contact with the ball. The ideal ball position is slightly front of center. When you keep the ball too far back it doesn’t give you quite enough time to get your hands through the way that they need to be. Keeping the ball a little bit further up in your stance is a simple way to adjust your swing path for straighter shots. Move your left foot back slightly: A conventional standard stance has you keeping your feet parallel to one another at about a shoulder’s length apart. This is a fine way to position your stance, but if you want to a quick fix for your swing path, dropping your foot back just a little bit will go a long way towards turning your hook into a gentle draw. Struggling players often have the tendency to swing too fast which is a surefire way to exacerbate whatever unfavorable shot patterns you are experiencing. In other words if your natural shot trajectory is a draw, swinging too fast will turn that draw into a hook. To fix this tendency, take a trip to the range and start hitting balls swinging as slowly as you can. Gradually build you swing speed until your shots start to go their typical distance, then lock in and practice at that tempo. This will help you to build good habits and start enjoying a tempo that is more conducive to quality shot making. 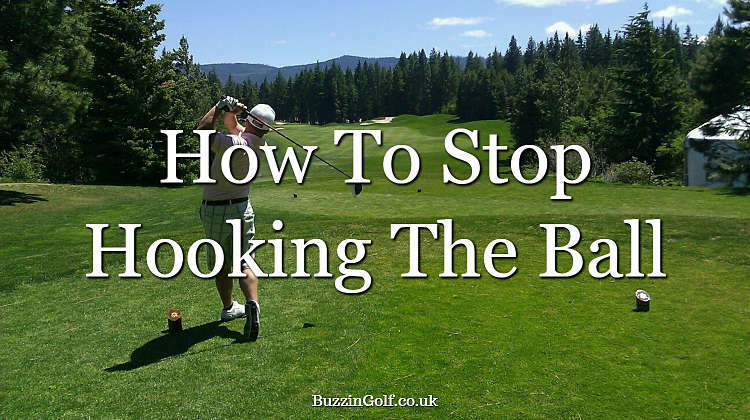 Taking on board these tips on how to stop hooking the ball will help you to shoot better scores. Remember that the process of curing a hook is gentle and slow. It involves tinkering and practice. Why? Because chances are, you aren’t doing any one thing particularly wrong. Most hooks are a product of a few smaller swing circumstances that contribute to the miss. Lee Trevino once famously said that you can talk to a slice, but a hook won’t listen. That’s not quite true. You just have to talk a little bit louder. Go to the range, work on your tempo, adjust your set up, and watch your shots straighten themselves out. You will be glad that you did when you stripe it down the middle on the first tee.